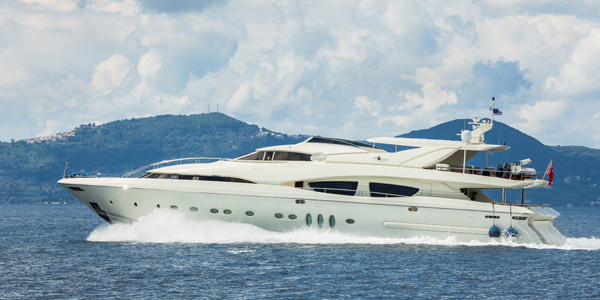 CleanAHull™ Ultrasonic Antifouling Systems are ideal for the protection of your Superyacht vessel hulls and can help maintain hulls and running gear from fouling. Through the reduced fouling drag ultrasonic can drastically improve performance, manoeuvrability, fuel economy, sailing performance and even rude passage times saving further in fuel. Not to mention extensions in the haul out interval saving on dry dock or slip and marina costs. The main factor in determining the correct system and number of transducers required for ultimate protection is the hull waterline length (LWL). As the vessel hull size increases so too does the surface area in contact with the water and in turn the area requiring ultrasonic protection. The CleanAHull™ Ultrasonic Transducers are installed in strategic locations throughout the inside of your hulls to provide the best transference of ultrasonic energy into the hulls. This energy is then dissipated out into the water at a 180° arc from the hull itself providing bio fouling protection. Ultrasonic transference is best through solid objects that the transducers are directly attached to and there will be some attenuation (loss of signal) when ultrasound attempts to transfer to acoustically isolated items (stern tubes, stabilisers, thrusters, shafts, rudders, etc). CleanAHull™ ultrasonic transducers can be installed directly onto isolated items such as rudders (tiller / shaft), stern tubes, stabilisers, thrusters, shafts, rudders, etc for ultimate protection of these devices. CleanAHull regularly performs specifications with Manufacturers around the world for current builds. 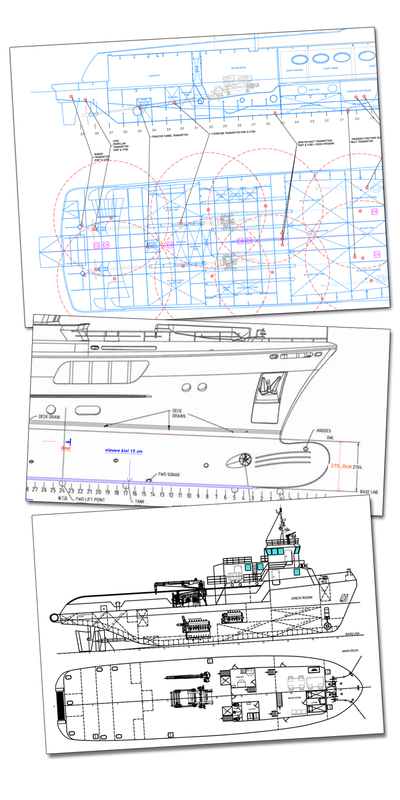 We can also work with you on specifications for installation into your Superyacht. It is always best to contact CleanAHull directly for specification of Superyachts. During installation there is no through hull drilling required. Our systems can be installed without removing the vessel from the water. Below is an example of some of the work we have done with manufacturers and owners, due to the nature of Superyachts we do not dissclose specifics of vessel configurations but we are happy to work with you on specification of your Superyacht for protection. Contact Us Today for more information and assistance with your specification. Copyright © 2017. CleanAHull.com™ All Rights Reserved. CleanAHull™ is a registered trademark of Globatech Australia.